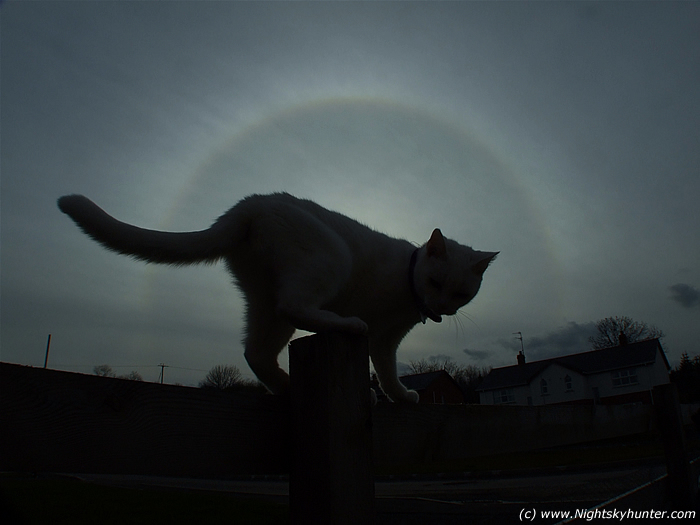 A nice colourful 22 degree sun halo appeared during the late afternoon of March 27th 2008 before the arrival of stormy weather later that evening. My cat 'Gizmo' jumped onto the garden fence which really helped me out. I used her to block out the bright Sun at the heart of the halo. The dark streaks to the upper left could possibly be faint contrails with shadows.